Ever since I first picked up my first Jack Vance paperback as a youngster (I am now fifty-something) I was irrevocably hooked for life. I eagerly sought out and devoured each and every book that he had ever written in sci-fi and fantasy that I could get my greedy little hands on, and impatiently awaited whatever new confections that he forthcoming. I sadly feel that we will never see his like again, and I have absolutely no doubt that to whatever bright cluster in the universe that he is currently winging his way to, that whomever he encounters there, will be just as enthralled by him as I have always been...Keep a light burning in the window for the rest of us, Jack. The Twk-Man on his dragonfly told me he had sad news. So I gave hom some salt. "Your friend and mine is now dead" he said. "What are we to do" I said. "Oh aye" and off he flew. The Triarchs are excellently killed. Let that be the way of it. More than any other author, Jack Vance defined my world as a young reader. His inimitable style, his morally-flexible protagonists, and his richness and eye for setting detail led me to appreciate finer writing, at an age when my palate was still finding form. I treasure the moments of joy and wonder he gave to me more highly than any physical treasure I will ever possess. Thank you,Jack Vance,for all your wonderful stories and the enchanting hours I have been enjoying for many years in reading them and travelling with you across the Galaxy. I raise a toast to You, Great Balladeer of the Worlds, and I hope we will meet one day on a beautiful seafront promenade of Avente (Alphanor,Rigel);we'll have a drink and then we'll admire one of those splendid Rigel sunsets you describe so well in "The Demon Princes". The works of Jack Vance shaped my love and appreciation of science fiction and fantasy. I would never have learned to enjoy the genres without his rich, imaginative examples, nor would I have embarked on my own writing career. A true Grand Master of SFF was lost with his death, and the world is diminished for it. Jack Vance has been one of my top 3 favorite authors for several decades (shared honors with Stephenson & Brin), and I've never figured out why he wasn't better known. While we all like long stories that we can live in for awhile, and Jack Vance's were as good as such stories can be, his short stories were not just outstanding for the usual reasons, but in some cases were cultural milestones, far ahead of their time. totally bureaucratized society, run by executives using computers they didn't understand. "Green Magic" remains the most evocative story of the limitations of being human that I have encountered. "The Potters of Firsk" tells us of an individual pilot disobeying military orders to drop his atom bomb, and instead using it culturally rather than explosively to end slavery instead of ending a society. Since he couldn't stick around here forever, I hope that at least he has found lurulu. He certainly brightened *my* world. I have just finished reading my 11 year old daughter NightLamp to introduce her to Vance. A couple of days later I find he has just died. One day she will read Lyonesse herself. I look forward to sharing more of Vance's worlds with her. So unique and impossible to mimic, may he enjoy his repose on Tschai or Maske Thaery or any of the many worlds that only he could have created. Gone but surely to a better, more vibrant place. How do I find the words and what can I say that isn't being said by others on Jack Vance's passing? The greatest of writers, the greatest dreamsmith is gone and we are bereft. I'd gladly go to all his worlds as a tourist and to many of them as an immigrant. I hope the larger society gives him the recognition he deserves. Few authors in any genre have given me as much pleasure as Jack Vance. Even fewer remain fresh and vibrant on the third, fourth or even fifth re-reading. Condolences to his family, Vale to the Master. You brouht life to my imagination. I am saddened to see Mr Vance has passed away. Each time I find new things in his writings that amaze and entertain me. The first thing I would try to save if my house was on fire would be his books and then my wife. I wish I could have thanked him for all the wonderful entertainment he provided. Goodbye Jack. I raise my glass of ale to you and Norma and all who loved you and your incomparable work. Thank you. I first encountered one of his books when I was looking through a book flea market in front of one of our university's campuses. It was so great that I had to find out who wrote it and thus began my wonderful journey into the world of Vance's fantastical writing. I cherish every second reading his books. I will never forget reading the first story in The Dying Earth nearly 50 years ago. In a lifetime of constant reading, that remains one of the most memorable and vivid experiences - matched only by The King in Yellow. How rare and remarkable the talent that has passed this week. The Jack Vance, amaranth always. Shaped my reading habits since childhood, you did. I have oft journeyed along the Icknield Way, near my home in England. Needless to say thoughts of Jack and all the characters of his creation pass through my mind every time. He will be with me in spirit forever, the greatest literary inspiration of my life. Farewell Jack. I read my first Jack Vance novel some 25 years ago and have been a great fan of your stories ever since. Your work is an inspiration and has added great value to my life. You will be missed here on Earth. J'ai découvert Jack VANCE pendant mon adolescence dans les années 70 et j"ai été ébloui par son style, son imagination et la puissance de ses récits . Je suis devenu libraire , rayon policier et SF, et ma passion pour lui est toujours aussi forte . Je le fait découvrir à de nouveaux lecteurs et le résultat est toujours le même : admiration et addiction, y compris chez les jeunes lecteurs . Merci Monsieur VANCE pour toutes ces heures de bonheur, d'émotions et d'émerveillement, pour tous ces voyages dans vos mondes et pour leur diversité . Vous êtes un des plus grands au Pantheon des créateurs . Jack, tu vas me manquer ! As much as enjoying JV's writing over many years I am extremely grateful for this place, reading so many shared experiences of both his books and his person (and Norma). Jack, I will miss you. Jack Vance was more than a amazing wordsmith,he moved the goalposts we did not know were there.The nothing is rendered inert by his passage. I only discovered Jack a couple years ago, but his works changed my life for the better. I'll never forget the thrill of reading each book for the first time - I relive it a bit each time I reread them. Half a century ago, Jack Vance was my favorite author. And he still is. Your clever Cugel has tricked even me and I will always have one foot firmly planted in the Land of the Dying Sun. There aren't enough thanks to express the joy your stories brought me over the years. And I wish the best to your family. The most underrated of SF writers. I've read him over and over, the Cadwal Chronicles a dozen times at least. He understood the infinite variety of mankind better than any other writer. 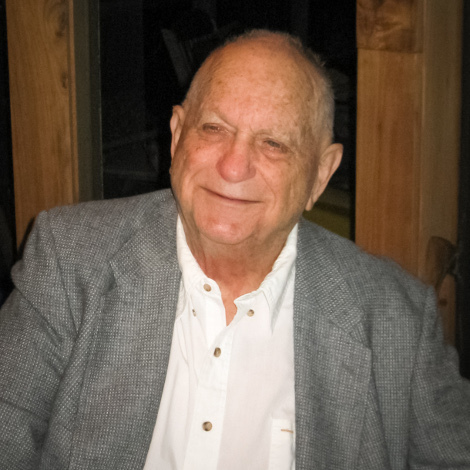 To see my full tribute to him, Google "vancean reach"
I was glad and proud to be a friend of Jack Vance. We corresponded beginning in the 1970s. I met him personally in 1996, and made several long stays at his home. He visited us in France in 1998, when, with Norma and my father, we made a pilgrimage in search of the greatest cassoulet in the world. I am particularly glad and proud to have talked by phone with Jack almost every day for the last 6 months. He loved to converse with my most vocal cat, Snook, with whom he carried on long dialogs of meows, almost always pronouncing himself to be in agreement with her. Among other recommendations, he instructed me to be on the lookout, because he promised, after his change of status, that he would come around to tickle my toes and pull my ears. But I’m sure he will haunt everyone who is sensitive to his emanations, just as he has always done. The thing which made him happiest in his last days was interest in his music, and greater sales of his CD would have meant a great deal to him. It is not to late! His ghost is waiting, hoping and watching for people he can touch. Jack usually played me a few tunes each time we talked, and this gave him great pleasure. Though rustic, his music has a marvellous (2 ‘elles’ please!) and subtle charm; it always made me forget my troubles and smile. Allow me to suggest to all his readers the enriching puzzle of tracing the profound concordance between Jack’s writing and his singing. About 2 weeks before the end I had the privilege of reading “Flutic” to Jack. What an experience! Jack, who could no longer remember much of his writing, purred with amusement, bubbling over in his slow baritone chuckle at each culmination. He glowed with delight … I’m not sure how to express it: “exactly in the right way”. Happiness! My favorite author for many years. His characters inspired me, and he made me view the world around us in a richer, more colorful light. Adventurous travels to you, old friend, and sympathy to those of us left behind. Read all of Jack's books when i was a youngster, can't understand why they didn't made any movies from them..
His writing was pure literature for me. Thanks Jack ! See you in the big wave. The sun may splutter out...but as long as humans survive anywhere in the universe, there imagination too will survive...and where imagination survives Jack Vance will continue to live. An enraptured JV fan from the moment I picked up the Planet of Adventure series in the late '70s, I once had the pleasure of drinking all of the beer (Orangeboom, as I recall) in Jack and Norma's refrigerator. I was in the Bay Area for a rugby tournament, and wrote to Jack c/o his publisher, asking if it would be possible to buy him dinner. He replied that, while he rarely ventured out anymore, he would be glad to meet me at his home in Oakland. When I arrived, in a kind of awe, he very kindly invited me inside, offered me dinner, declined to join me in a beer (he said he was a bit hung over from a dinner with Poul Anderson the night before) and proceeded to answer all of the questions I had been dying to ask him about his books. I asked him what he was working on at the time and he said, "Oh, you know, the same old crap." The "same old crap" turned out to be the first volume of the Cadwal Chronicles. So farewell, Jack Vance. Thank you for an evening this writer will never forget. I hope that, in your next incarnation, your spirit finds the Gaean Reach -- and that they appreciate you properly there. privilege it was, to know you both and share all those adventures! You were more to me than you could ever know; friend, inspiration, Mentor. And yes, Best Author not just in science fiction but the lot. I miss you. Bon Voyage and fair sailing, Jack. I was a SF fan since I was a kid. But Jack Vance was the one who showed me how good it can get. Reading Dying Earth got me addicted right away. I guess I read every available Vance in German and after some time I came back and read most things in the English version. It was alway a pleasure but if I had to choose what I liked best I would say: Lyonesse (all books) and Alastor. Thanks Jack for the countless happy hours! The first book I read of Jack Vance was 'The Eyes of the Overworld' in 1986 (when it came out in Germany), which struck me with astonishment. Since then Lyonesse, Cadwal, The Demon Princes and many others of his works went through my hands and never ceased to amaze me. I feel privileged, that I was allowed to discover this brilliant writer. Cordial thanks and Godspeed to you Mr. Vance! My favorite writer, i love the way he wrote! You gave a boy living in a dour, conservative, conflict-wracked country amazing, uplifting, immersive tales of fabulous futures. Strange societies intrigued the mind, amazing worlds stretched the mind's eye, effusive prose broadened my mind. May the worlds in which you travel now be as fascinating as those you crafted! Whenever I see books, anywhere, I am always happy to find one by Jack Vance. Imagine what happens when I find one that perhaps - somehow - I missed before! To me, the future holds Jack Vance... Sent from The Netherlands in humble tribute. I'm still dreaming of Lyonesse. Jack's books are among the best I have ever read, and have my life better for their existence. My best wishes go out to his family and friends. He will be missed by us all, but never forgotten. Thank you for Lyonesse, for Cugel, for Tschaï. Thank you for all your books. Jack,I opened one of your books and felt sad to read the words at first.I miss your tenancy here on Earth with us.I continued to read and felt the life of the words and how you come to life through them.Such a wonderful soul.Bless you Jack and Norma.My thought are with John and family and us, your loyal readers and admirers.Rest in Peace Jack. Ive only just tipped the ice berg on reading his books. But i am hooked and plan to read them all. I will share his work and I am truly sad he has passed. He or his works will not be forgotten! My thoughts go out to his family and friends who knew him better than most. I knew him only through his words but he seemed as said by another great storyteller to be a man of infinite jest and most excellent fancy. His works were funny yet profound, archaic yet timeless. The discovery of Jack Vance's work in my childhood opened a wonderfully rich, baroque world of eloquent creatures and wryly evolved human worlds that I delved into repeatedly over my life, reading and re-reading the novels like the good friends they were. Thank you, Jack for significantly enriching my life. not a wordsmith like Vance. His works mean a lot to me, and he is unsurpassed in my eyes. Truly great. I wish his family the best. Wow, bought Emphyrio yesterday and then read the obit in The Times today. Ok, 3 favourite moments (1) "Wrong again," said Reith. "It is a copy." (2) Shimrod revealed as a Sir Pellinore (3) The Dinkelstown Hadaul, where I won 600 SVU thanks to Kirth Gersen. We shall always remember you! I have read and re-read Jack's books over the last 45 years. At about 11 years of age, I began to spend my nickels and dimes at the local thrift store for books. My first buys included Ace doubles among which was Big Planet / Slaves of the Klau. Jack's clever dialogues and use of language influenced my thinking and imagination like no other writers save perhaps Ashton-Smith and Lem. I can lay the responsibility for having become a great communicator in large part at Jack's doorstep. A grand flourish of my hat in acknowledgment and gratitude for the positive, uplifting and most entertaining influence in my life. I was inspired to read Vance after meeting a man in his 90's at our cities specialist science fiction bookstore. He had travelled all the way in by public transport and was having a wonderful chat with one of the shop assistants about all the various Jack Vance books he had red over the years. He was restocking his collection and was after one of Vance's dragon books. He spoke with such affection for the stories that he read that I knew I needed to pick up my own copy. Best word of mouth recommendation I've had. gotten more immediate fame perhaps, but Vance's will always be read. If there is a heaven, perhaps he will now be able to meet Ernest Bramah, and perhaps they will write some stories together. The light that burns twice as bright burns for half as long... well that was not the case this time, thanks to whatever God rules our lives. He was a bright star, now gone forever, but his light will evermore remain to enlighten our dreams. Farewell Maestro, a tusitala first among the greatest. He played a large role in shaping the fantasies and adventures off my youth. He was unique, it is a shame that the Gaeaan Reach will never expand further.